Many visitors that come to Hawaii love the weather, to bask in their holiday time, but forget to explore the richly lived past of the Ancient Hawaiians. For a more rich experience while visiting the magical Big Island take a walk on the King’s Trail, check out the petroglyphs, visit a heiau, and imagine yourself on the island before all the shoreline development and increased population pressures of modern life today. The massive ruins of Puukohola Heiau are an impressive sight. 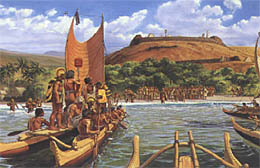 The founding of the Hawaiian kingdom can be directly associated with one structure in the Hawaiian Islands: Pu’ukohola Heiau. The temple was constructed to incur the favor of the war god Kuka’ilimoku. Built between 1790-91 by Kamehameha I (also known as Kamehameha the Great), together with chiefs, commoners, men, women and children. As British sailor John Young looked on, the temple was built and dedicated, a chief rival was sacrificed, and the war god Ku was pleased. Kamehameha I waged several subsequent battles using Western military strategy and weapons to extend his control over all Hawaiian Islands. The monarchy he established lasted 83 years, from 1810-1893. 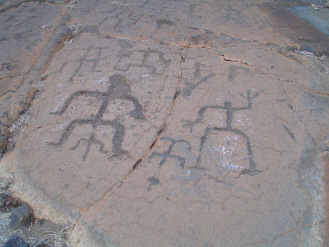 Visit the Lapakahi State Historical Park up the Kohala Coast and walk among the ancient site. 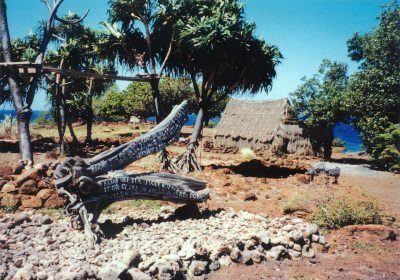 Lapakahi State Historical Park is the archaeological site of what remains of a traditional 14th century Hawaiian fishing community. Lapakahi is one of the best-preserved fishing village in Hawaii. A self-guided tour takes visitors to house sites and a canoe halau (long house); runs through a game area where visitors can try spear throwing, ‘ulu maika (disc rolling) and konane (checkers); and leads to a fishing shrine and salt pans along the rocky shoreline. Explore the early Hawaiian life of the common people through cultural demonstrations of daily activities, story telling, and self-guided one mile loop walk through the partially restored remains of this ancient Hawaiian coastal settlement. Wear decent shoes and go early if you want to beat the heat, it’s a dry part of the island. This 265-acre park is located along the shoreline of the Lapakahi Marine Life Conservation District. The nearby ocean waters comprise a marine preserve with various activities regulated but great snorkeling. Park gate is open from 7 a.m. to closes promptly at 4 p.m.
Take this the site to heart and you will be transported back to earlier times allowing you to reflect upon the Hawaiian first people. Hawaii is lovely place, respect the past by treating the island with a reverence for it heritage is a part of being a responsible visitor to the islands. Get out and walk and explore. Pick up any trash you find and remember to live the Aloha Spirit.